Cárdenas supplies part of Varadero in labor. It boasts nice examples of neo-classic architectura (superb patios, high windows, detailed motifs) some dating to the town's founding in 1828 and a fascinating history linked to the first rhum factory and the first vacationers on the Hicacos Peninsula (Varadero). 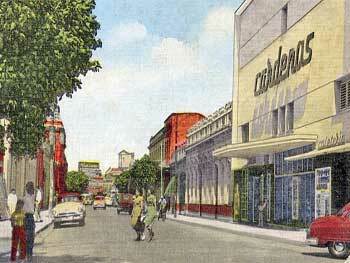 During our Cardenas dog day afternoon, we saw half-drunk, red faced, bare pot-bellied, 9cuc-per-hour scooter buzzing jimbos looking for their way out of hotter than hell streets. 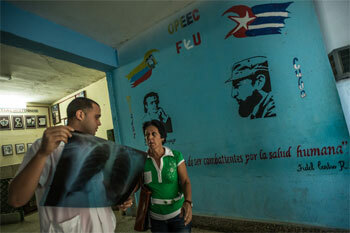 Seriously, Cuba's flag was raised here for the first time in 1850. The first electric tramways started here. 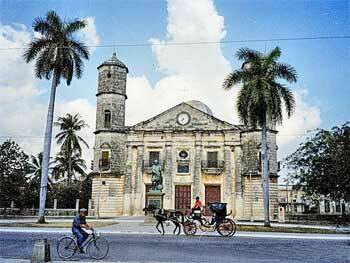 Second only to Bacardi, one of Cuba's largest rum distillery Ron Arrechabala (founded 1878) was established here. Other town firsts include the first electric power plant and the first gynaecological clinic. Its owner created the Havana Club brand which infamous Bacardi claimed was theirs but after a years-long legal battle in Europe and the US, Pernod-Ricard in partnership with Cuba got rightful ownership of the brand. 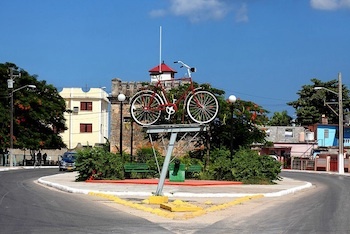 The sleepy town used to live off two sugar mills (José Smith Comas and Humberto Alvarez) in the area but now, there's only nearby Varadero's tourist industry and a few of the fishermen's catches. Its citizens use the horse-drawn taxis to get around. Most ride bikes. Hasta la bicicleta siempre ! Seamos realistas, pedimos el impossible. 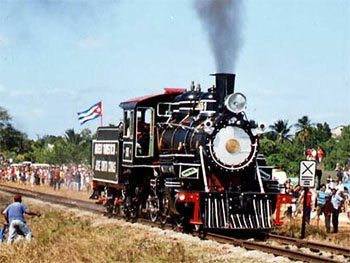 Before the Revolucion, the city was the largest port of Cuba. From 1878, the Arechabala rum distillery established by Jose Arechabala y Aldama was one of the largest employers on the island with its 1.024 trabajadores who distilled rum, made sugar, syrup, honey, candy, brandy, cognac and imported and distributed gin, whiskey and wines. 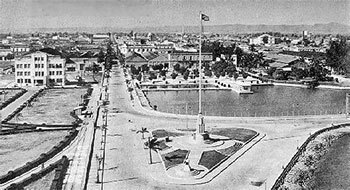 But the U.S. prohibition (1919-1933), a scandal of shady promoters who pocketed $ 700,000 to redo the port, a murder and a kidnapping of family members, the 1929 crash contributed to Cardenas losing its industrial shine and importance. In addition, the port became unusable due to its lack of depth. In 1926, arrives an Arechabala nephew, Jose Fermin (Josechu) Iturrioz Llaguno who joins with a brilliant engineer, Manuel F. Arias. So at the age of 36, Josechu takes the reins of the family industries and transforms the city port, launches the Havana Club label in 1935, relaunching its businesses and modernizes its plants, despite two deadly hurricanes. 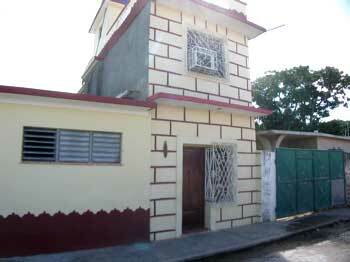 As business is going well, Josechu builds, a few miles away, a family compound with houses, a lagoon and a park. He gives it the name JosOne, acronym of the name of his great-uncle and great aunt. 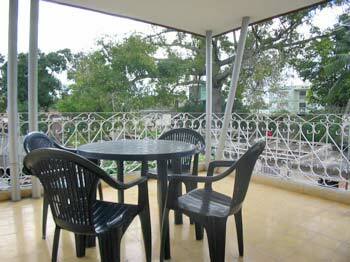 One can see it today in Varadero. 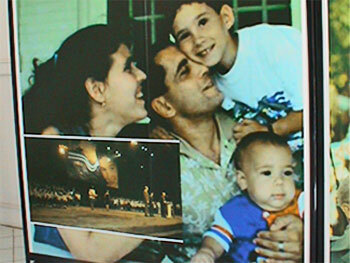 A sort of famous Cardenas resident long worked there as a waiter : the father of Elian Gonzalez. Josechu died in exile in New York on New Year's Day 1960, having been driven from his city and its expropriated and nationalized industries - without compensation - by the barbudos he had elected to reject with the help of Bacardi. Today on calle Pinillos on the corner of calle Sáez, remains the distillery which was the most prominent of the island, "La Vizcaya" along with Bacardi in Santiago. However, the two names banded together to fight Cuba and Pernod-Ricard before US courts about the rights to the Havana Club name and so are hidden  sadly and to the detriment of all  from the modern history books of the island. • Local Yoga Instructor Pablo c/o Iglesia Reflexion y Dialogo Ave. Céspedes No. 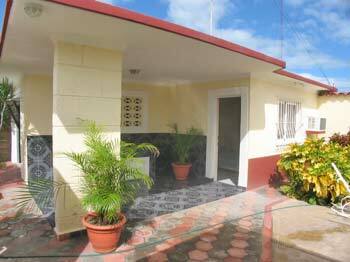 1210 e/ Calle 25 y 26 • Hourly buses to Varadero (6cuc) ; three dailies from La Habana ; regular service for Jaguey Grande (junction with the trans-island autopista), Jovellanos, Matanzas, Santa Clara (10cuc), Trinidad (18cuc) • Local train between Cardenas, Jovellanos and Colon. • Horse-drawn collective taxis available most everywhere. 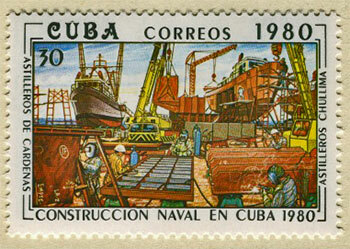 This 1980 stamp is a reminder of the glory days of the local naval yards which were the most important when post-Revolucion Cuba decided to build a fleet of fishing boats  now decimated, mostly through mismanagement and corruption, alas. 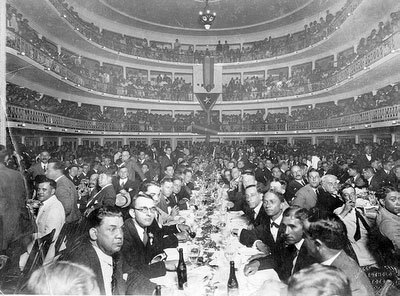 During the US colony heyday  here in the Twenties  the vast Teatro Arechabala (same name as the rhum factory) was the scene of some giant gatherings of the local ruling class and its employees, clients and families. At the top of its glory in 1953, Cardenas had been revitalized, its port had a new levy and most, thanks to the leadership of the Arechabalas. Jewel in the Arechabala family crown, symbol of the pre-Revolucion success of Cuban entrepreneurship by a hard-working Spanish immigrant who landed in 1878, the large distillery La Vizcaya. In 1934, it created the Havana Club brand. 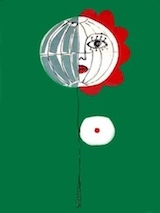 More about crime in exile, the preposterous Bacardi act and litigation here. 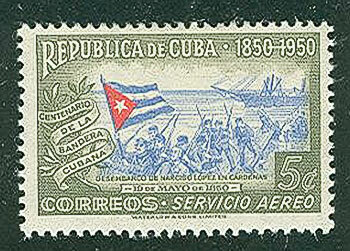 In 1850, Narciso Lopez disembarked in Cardenas, bringing a flag which would be hoisted for the first time in Cuba and which became a symbol of the fight for independence from Spain. "There are about 300,000 cuentapropistas  small business owners in Cuba" © Meridith Kohut, New York Times - Click for December 2014 NYT article. • From Canada and the USA : 011 53 (add phone # preceded by 52 for Cardenas) • From Europe, Great Britain, Scandinavia and Mexico : 00 53 (add phone # preceded by 52 for Cardenas). ••• HOW TO DIAL A CUBAN PHONE NUMBER HERE ••• CELL PHONE NUMBERS on our town lists and casa pages are preceded by 0 for calls originating Havana; from anywhere else in Cuba, dial 01 + the 8 digits of the cell.